May 16, 2015 - The Federal Aviation Administration (FAA) suspended former BTB Corporation (BTB) President Juan Vazquez and BTB, as well as R&F Asphalt Unlimited, Incorporated (R&F Asphalt) Operations Manager Juan Raul Robles and R&F Asphalt from participating in federal procurement and non-procurement transactions. 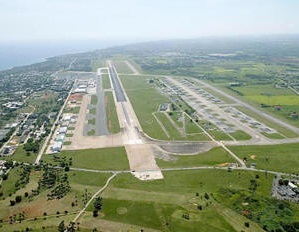 On March 18, 2015, BTB, Vazquez, R&F Asphalt, and Robles, entered into a civil settlement agreement with the United States in U.S. District Court, San Juan, Puerto Rico, and agreed to pay more than $7 million related to a fraud scheme involving an airport construction project in Puerto Rico. This investigation was based on a civil qui tam complaint filed by Betteroads Asphalt, LLC. BTB and R&F Asphalt allegedly conspired to knowingly and willfully defraud the FAA and made false representations in connection with a taxiway rehabilitation project at the Rafael Hernandez International Airport in Aguadilla, Puerto Rico. BTB and R&F Asphalt allegedly submitted falsified certificates of compliance to cover up the fact that they substituted a different asphalt binder than required on the airport taxiway. The project, managed by the Puerto Rico Ports Authority, was paid for with FAA grant funds under the Airport Improvement Program. Under the terms of the settlement, BTB and R&F Asphalt agreed to return to the government $3.6 million each. Each paid an initial payment of $500,000. 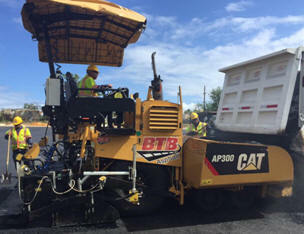 BTB agreed to pay the remaining balance in equal annual payments of approximately $776,000 over the next four years, and R&F Asphalt agreed to pay the remaining balance in equal annual payments of $155,000 every three months, over a period of five years until the outstanding balance is paid in full.